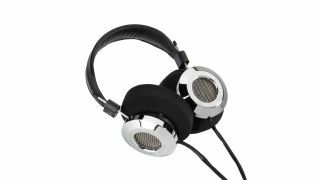 Search results for grado | Search | What Hi-Fi? Grado’s PS1000es deliver a roller coaster ride with a sound that bristles with excitement and detail. Interview Following the launch of Grado Labs' first wireless headphones, we chat to the company's president and CEO. The company's first wireless headphones sport an open-back design (yes really) and very familiar Grado-like aesthetics. Welcome to the 21st century, Grado Labs. The iGes are the first Grado headphones to feature an in-line mic and controls for Apple smartphones.